Technology has forever changed the role of the CFO. ERPs, analytics tools and other software systems have provided for greater speed and efficiency within the financial department, allowing executives to focus less on compliance and transactions and more on the commercial side of business. Now, the main role of the CFO is to implement and manage strategic initiatives that lead to better, more data-driven financial decisions. These new opportunities come with new challenges, particularly when it comes to working with the IT department. Business intelligence tools, analytics initiatives and other data-driven projects require a close working relationship with IT, not to mention new tech purchases and programming. The goals of IT and finance often appear to be at odds – even when they’re not – and implementing new systems among current personnel is easier said than done. Fortunately, there are a few ways to mitigate these headaches and set your projects up for success. Following are a few of the best practices I’ve gathered as a financial consultant throughout the last several years in our increasingly data-driven, tech-focused financial environment. Before you can solve your IT-specific issues, you need to address some of the bigger problems that plague project managers in all departments and industries. The first of these is resource management, Human Resources in particular. Different team members might be involved in two or more projects apiece, and you need to be able to allocate their time appropriately. Ultimately, this requires a solid project plan that you create from the get-go – not after issues arise. Financial executives often fail to allocate specific personnel and due dates to specific tasks, but you need to think of all the dynamics of a project and set reasonable competition dates. Depending upon the size of your company and the number of projects you have running at any given time, issue tracking may also be a concern. Imagine you have three financial projects running at once, for instance: the creation of a BI tool, an interdepartmental software integration and the day-to-day functioning of your department. Problems will inevitably occur, and you need a way to prioritize, highlight and track those problems to ensure they’re solved in a timely manner. Finally, it’s critical to create some sort of evaluation process for prioritizing the projects you aim to complete. It’s almost inevitable that some deadlines will be pushed back, and you need to be able to objectively compare potential timetables. You might prioritize projects based on their likelihoods of success, senior executives’ needs or available expertise. One of the biggest avoidable IT headaches is going overboard on software purchases. The Oracles and SAPs of the world are amazing pieces of software – big, comprehensive packages that can do just about anything you need them to do – but the reality is that if you’re a mid-sized company, you probably don’t need that level of functionality. However, companies often think that because they’re growing, they need the most robust software, and they take on massive, financially burdening implementations. These projects require huge amounts of internal and external resources, and they typically take much longer than executives anticipate. Fortunately, there are plenty of simpler software packages far better suited to the business needs of a growing, flexible company. Many of these packages can be outsourced using a newer cloud model. You can easily implement them, you only pay for the functions you need and, best of all, you get best practices in an affordable package. Sometimes less is more. Software implementation is the other major IT concern I see among finance executives. Whenever you implement a new ERP, BI tool or any other program, you absolutely must get all of the functional people on board. Oftentimes, however, IT projects are seen as just that – initiatives that only concern tech personnel. Operations, finance, sales and other departments all need to accept that most of their business is going to be done on the new software, and conducting business transaction outside of the new system or using outdated software that is not integrated into the system will only create costs and headaches. The best way to ensure that level of compliance and commitment is to incorporate key members of the IT team into the finance department’s implementation. Any big system will have a huge set of inputs that need to be decided ahead of time – what output does the user want, what data is input, how a job works its way through the department, what information is needed downstream for other users, and how reports will be generated, just to name a few. The operations group needs to work hand-in-hand with a subject matter expert from the IT group to set those parameters up, so that the software works intuitively for the teams who will actually use it. Training also needs to be a major priority. Far too often, new users either don’t come to training or don’t pay attention, and management doesn’t impress upon them the importance of the new software. Any major implementation should be a company-wide initiative, and managers should clearly explain how and why the new software must be used. 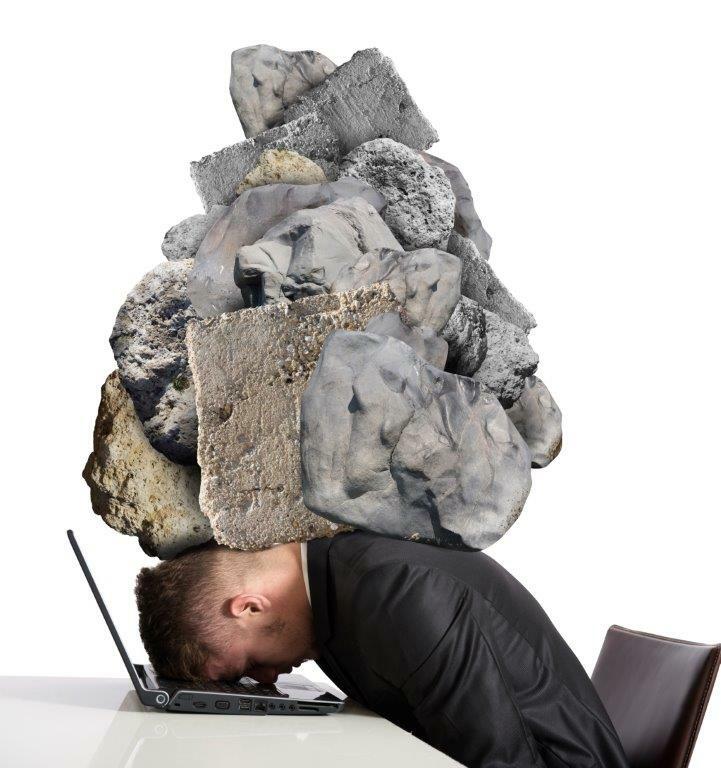 Finally, avoiding IT headaches is often a matter of recruiting for and fostering the right skills for today’s financial projects. Now that transactional processes are largely automated, finance personnel need to become adept at quick iteration, business intelligence and big data organization. There’s a sea of information waiting to be gathered and analyzed – far more than any company can use – and the best CFOs can quickly identify and use the most relevant data to make sound business decisions. To learn how we can help you coordinate major projects involving your finance and IT departments, please call us at (855) 367-8020. Susan is a CPA with over 20 years of diverse finance and accounting experience in industries including manufacturing, technology and real estate. She is an Ernst and Young alumnus who has held leadership roles at Fortune 500, middle market and entrepreneurial companies as Controller VP of Finance and CFO. These companies have included Power-One, Clipper Windpower, Allied Signal and Special Devices, among others. Susan has provided financial leadership and project management to accounting organizations, and her projects have included turnarounds and restructures, the creation of international tax structures, IFRS implementation, internal and external financial reporting management, systems implementations and finance and accounting efforts for divestitures, acquisition and process re-engineering. Susan holds a BS in Accountancy from San Diego State University.